We all have the best intentions when it comes to taking care of our planet, but don’t always follow through like we should. 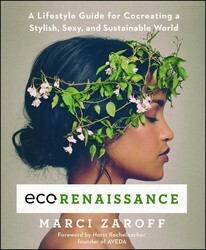 Marci Zaroff, author of ecoRENAISSANCE, shares 4 easy tips for living green that can fit right into our daily routines. Factory farming is one of the main causes of climate change. Consider eliminating meat and/or dairy from one meal a day. 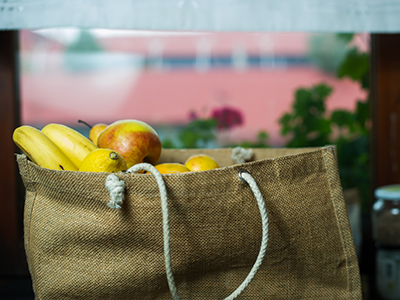 The rewards are threefold: your body, wallet and planet will thank you. If you don’t know where to start, Clean Food Dirty Girl, Hooked, or Oh She Glows are great online resources for plant-based recipes. You may not even be aware of some of the culinary innovations out there—Beyond Meat and Good Catch are satisfying meat and seafood substitutes, while Daiya, Kite Hill, Chao and Miyoko’s Kitchen have managed to indulge cheese and yogurt-lovers with dairy-free alternatives. Additionally, organic, non-GMO agriculture has the power to regenerate soil, ecosystems and human health. Costco is now the biggest supplier of organic food; eating mindfully is accessible at every budget! The Environmental Working Group’s Skin Deep website is a great place to discover what’s in sunscreens, makeup, hair and skincare products. Try replacing one or two personal care items. Some of my favorite clean beauty companies are Acure, EO, Intelligent Nutrients and Tata Harper. We can also simplify our skincare regimes by consuming probiotics, Vitamin A, seaweed and healthy fats, all of which promote radiant skin. Another eye-opening fact is that we spend 1/3 of our lives sleeping on our largest and most absorbent organ—our skin. So, when replacing sheets and mattresses, look for certified organic. Mercola.com and Naturepedic are two great brands to support. We are consuming fashion at an unsustainable rate. Remember when clothes were not disposable? Thankfully, many changemakers are rethinking our fast fashion habit and bringing solutions to the masses. Buying new clothes should be a last resort. Consider borrowing, renting, or swapping. Vintage and pre-loved fashion is another great way to slow the cycle of consumption. Resist good deals if the quality and origin are questionable. When purchasing something new, take a moment to stop and ask yourself if it’s something you need. Instead of buying lots of cheap, trendy fashion, try spending a little more on fewer timeless, high-quality styles. Some of my favorite brands promoting sustainability and transparency are: Mara Hoffman, MetaWear, Outerknown, PACT and Stella McCartney. Edgy replacements to fast fashion are popping up every day—there are options for every style preference and price point. If you are doing what you love, it’s not work—it’s love. Spend a moment reflecting on what you are passionate about, at work and at home. When our lives are full of what we care about most, we work more passionately, we think more broadly, and we inspire the people around us to accelerate change. Making time to unplug, practice mindfulness and connect with nature are valuable ways to exercise self-care and elevate consciousness. Every moment is an opportunity to evolve, shine light and lift others through our words and actions. We’ve entered a movement I’ve dubbed the ECOrenaissance—a rebirth of humanity’s collective consciousness. These steps are easy ways to begin or continue your personal journey in this movement. 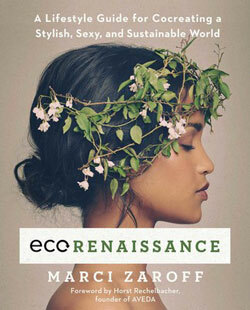 For more on how to embrace living green without sacrificing your style, pick up a copy of Marci Zaroff’s ecoRENAISSANCE. Plus: Burning Man may come around just once a year, but why wait to feel that sense of community again? Here are 3 ways to create the Burning Man experience at home.